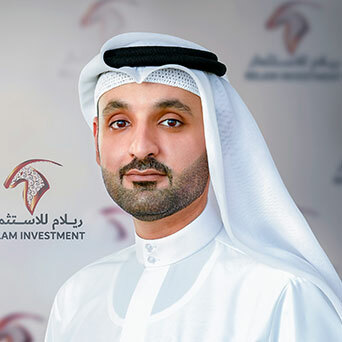 Mr. Abdulla Ali Lootah is a Board Member and partner in Relam Investment he is also the Vice Chairman & Partner in Vault Investment. A highly motivated entrepreneur with B.S in Civil Engineering from Arizona State University USA, & Higher Colleges of Technology, UAE. Having successfully accomplished projects like Solar Water Desalination, Bridge Design Project, Highway Road Design Project, Water Supply Management Project, and Tracheas Offices Remodeling Project. His expertise in key account management and strategy, as well as his keen leadership skills and knack for innovation, have rendered him indispensable to all his ventures. His role includes market research, forging and maintaining relationships with customers and overseeing operations in the sales division of the company.